3 Years in A Row Angie’s List Super Service Award. Accredited with BBB for past 10 years. Highest Yelp Rating in the area. Well done. Efficient service. Showed up on time. Our pest tech was polite, courteous and professional. Wonderful courteous service. Fast and professional. Answered all my questions and made sure I understood the answers. I called Liberty the day before I had new renters moving in and they came first thing the next day! Always great service! Professional, personable and respectful service is what received technician Deymond. Always prompt and pay attention to concerns. Great service as always by Tech, Dean always works us into the time best for us! Thomas with Liberty Pest Control does an awesome job. So far so good. I liked Thomas the technician who came to my hide a lot. I definitely would recommend them. These guys are great. I've had issues with different pest over the last year. When I requested service to handle an issue, they quickly responded and performed a great job every time. Very dependable. The service person was on time and sprayed the house and put down dry pellets in the yard. I have not seen any ants or spiders since his visit. Great job! Jose was on time and courteous. Very happy with the company, technicians are very knowledgeable, professional and courteous... pricing is very fair ..
Can’t really say anything bad about the company.. good job and thank you for keeping the bugs out of my house. Very happy with my pest control service. Everyone from Liberty that I have had contact with are professional and pleasant. You have always been on time and have responded when needed. Thanks. Always have great service and will continue to recommend them! Very impressed with the service we received and looking forward to a long relationship with Liberty Pest Control. I am a very satisfied customer. I ordered service and was told it would be 2 weeks, but there was a cancellation and service was done the next day. The technician arrived 10 minutes early, and got to work at the scheduled time. It was an overall great experience. Thank you for great service. Our technician Dustin was very helpful and was not only on time, but texted to state going to be early. Great customer service. Thank you so much for your business and genuine review of your experience with Dustin. He does an excellent job! Happy customer for 20 years! We love the Eubanks! Thanks again for your loyalty! We have been using Liberty for years. Never have a bug problem and they are so easy to work with. We love talking with you every quarter and appreciate your business all these years! Great people that work hard to provide an exceptional service! Thank you for your genuine review of your services and we thank you for your business! I will look into your service and see where we can improve. Thank you for your business and feedback. Thank you for taking the time to review the service with us! We appreciate your business greatly. Friendly, timely and thorough. We appreciate the service and explanations. Thank you for your kind feedback. We are glad you liked the service thus far. Thanks again for using us, we will see ya next time! We were told what time the service technician would arrive (we were not given a window), the technician was on time, friendly, professional, attentive and effective. I am happy to hear we kept our word and made this service as efficient as possible for your schedule. We look forward to working with you again, thank you for your business. Called with short notice for a house we were getting ready to sell. I needed to treat for bugs / spiders. Folks at Liberty where on it, made an appointment, they showed up on time. The tech was professional and we could not be happier. We will be using them going forward. So glad we were able to help in a pinch and have gained life long customers because of it! We appreciate your business and hope to make you very pleased you chose us! Very good job very friendly and professional. The worker that came out explained everything to us as to what HFE was doing and what to expect, he had the best customer service and respect,I would definitely use the company again and I would recommend them without hesitation. Thank you for taking the time to review your first service with us. I am glad you were left with any unanswered questions. Let us know if we can assist you in the future! Excellent service. The guy was on time and did the job thoroughly and in a timely manner. Thank you for your business, it is because of these reviews and customers like you that we are able to provide a great product! Technicians are kind and attentive to the needs of clients. That is great service delivery. Thank you for your business and kind review of your experience with us! Dustin was amazing! He was very thorough and helped me understand rodents/bugs better. I would recommend him to everyone! Thank you for your kind review and for your business! We are so glad you are our customer. Thank you so much for taking the time to review your services with us. We value your business greatly. We love Liberty Pest Control!!! Not only do they know what they’re doing they are also the nicest folks on earth. Thank you so much for taking the time to review us. We love to serve you- Please let us know if we can help again in any way! 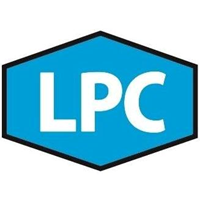 LPC has been doing our home and business for years. Always on time, and it’s great always seeing familiar faces year after year. Plus, they hire veterans; I always appreciate that. Thank you for your loyal business and for taking the time to review us. I am so glad to know you like Deymond and Thomas as much as we do! Dustin was great! He was more than punctual both times we had to meet. He was very quick but thorough with his inspection and very knowledgeable about his profession. I would recommend him to anyone! Thank you for taking the time to review your experience with our company and Dustin. We are happy to hear your needs were met! Knowledgeable, thorough, and on time. Thank you so much, I am glad to hear we have met your expectations. We have used Liberty Pest Control for around 20 years. They have always been an excellent company with good personnel and very professional service. Would highly recommend them to anyone. Thank you for your loyal service with us all these years! I know our technicians love visiting with you every quarter. Thank you for your business and we appreciate you taking the time to review our services.